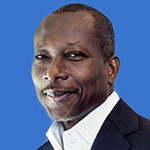 Before he was a presidential candidate, Patrice Talon was more publicly known as a businessman, nicknamed "the king of cotton" in his country, than as a politician. Born in 1958, he first contemplated a career as an airline pilot. Declared unfit for occupation after having passed the Air Afrique competition, in 1983 he began trading in packaging and agricultural inputs. In 1985, he founded the Inter-Continental Distribution Company (SDI), which provides agricultural inputs to cotton farmers. Taking advantage of the liberalisation of the cotton sector in the early 1990s, he diversified his activities by investing in cotton ginning and has gradually become a key player in the sector in Benin. He thereafter extended his business interests to hotels, port services and the banking sector, including the purchase of state companies. Amassing a large fortune, putting him among the richest men in francophone Africa today, he became involved in Benin's political life in the 1990s by backing incumbent President Nicéphore Soglo in the 1996 presidential election. In 2006, he threw his support behind candidate Thomas Boni Yayi, with funding and himself organising and directing the campaign. His links with the president, initially close, deteriorated after the 2011 election following a dispute between the businessman and the state about a public contract won by one of his companies. Shortly afterwards, Patrice Talon was suspected to be implicated in an assassination attempt against Boni Yayi and went into exile in France, where he mounted his defence. Pardoned by Boni Yayi in May 2014, Talon returned to Benin in October 2015 to declare his candidacy in the presidential election. His campaign around the theme "New Beginning" focused on political reform and economic recovery. Many challenges await Patrice Talon in a country where the youth unemployment rate is very high and where the population has limited access to energy and health services.